Note: The Small Business Center serves businesses of all stages (Startup to Experienced). Contact Shirley Moore, Manager of the Small Business Center, for assistance or more information on any of our small business programs — shirley.moore@myjaxchamber.com or 904-366-6618. Access information to start and grow your business. The library provides computers, Internet, wireless service, business software and small business reference materials. 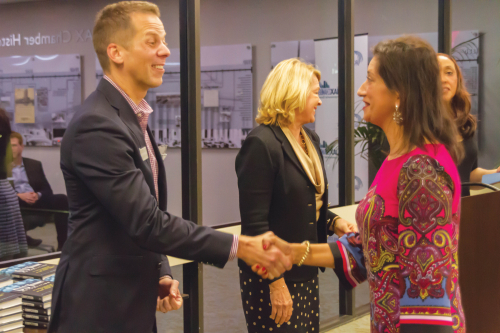 • The JAX Chamber Small Business Center Orientation provides an overview of the programs and services available at the chamber and throughout the region. Designed to equip and inform the two part program is offered “free” to both members and non-members of the JAX Chamber. • Review upcoming schedule and details. • Participants can obtain a free business coach to assist them during and after the 4-part series that is taught by experienced entrepreneurs.